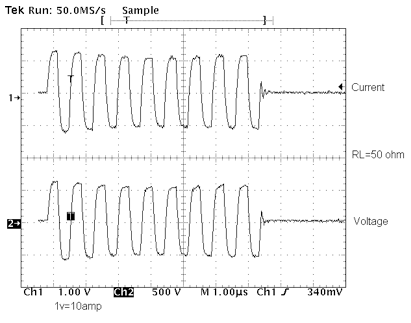 Conventional ultrasonic instrumentation has been designed to provide good performance with conventional piezoelectric transducers that enjoy a high-degree of efficiency when properly coupled to the material. Non-contact techniques such as Electro-Magnetic Acoustic Transducers and air-coupled ultrasound. Highly attenuative materials and low-frequency applications. Optimum power over a wide range of frequencies. High efficiency (>93%) with minimum heat dissipation needs. 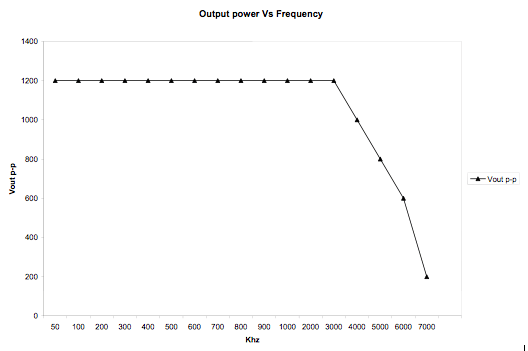 Typical output currents and voltages 8Kw RF pulser at 1.5Mhz. 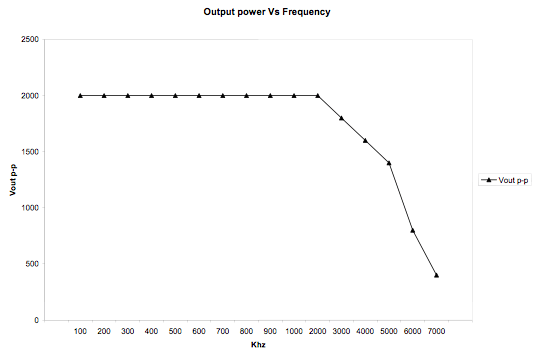 Typical output currents and voltages 20Kw RF pulser at 1.5Mhz.